Right off, I want to let you know it is worth the $6.00 admission price. Unless you are planning on seeing specific shows or bands, I would not suggest every day. I would suggest planning on several hours there. Before I forget, have a good pair of shoes. You may be walking up to a mile or more to see the entire fair. I will be honest here. The reason I do not suggest every day is for 2 reasons. 1) There is a $6.00 / day admission + food / beverages. 2) Again, unless you are planning on seeing specific shows / music, the entire fair can be done in one day. The reason I said several hours... The fair covers a lot of ground. There are multiple entrances. I arrived through Liberty St. by 17th (Maingate Nightclub). As I walked in, a few things were noticed right off. First was some vendors and artists. Then I saw and smelled the food! Walking up toward the main intersection (The main thruways are shaped in a U around Agricultural Hall). 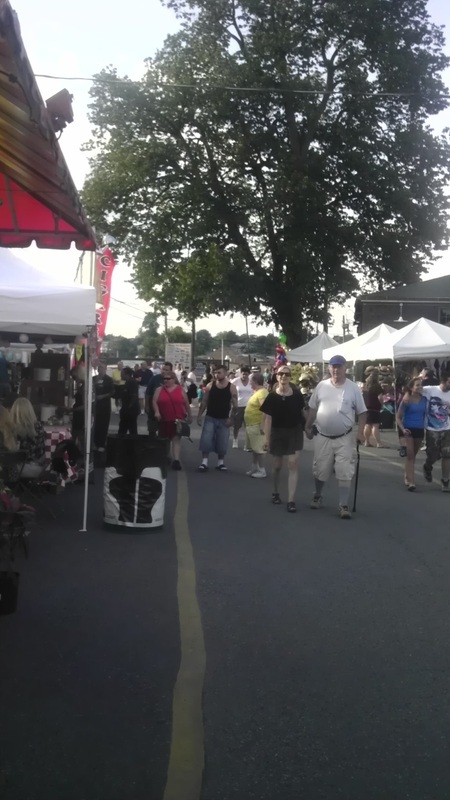 The outside U section is just one part of the Allentown Fair's layout. The second, main part is Agricultural hall. A long building spanning the entire length of the midway. This part is indoors. Back to the outside section for a few. After I made a right onto the midway... here is where you will find the usual fair / carnival games and rides (ring toss, balloon popping, etc.). 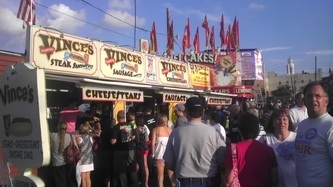 Very few food stands are on the midway. Advance warning: even if you are not hungry, you will be after walking around. So far, outside layout: U-shaped with a majority of artists / food vendors on the left and right. Midway: a majority of the games and rides. 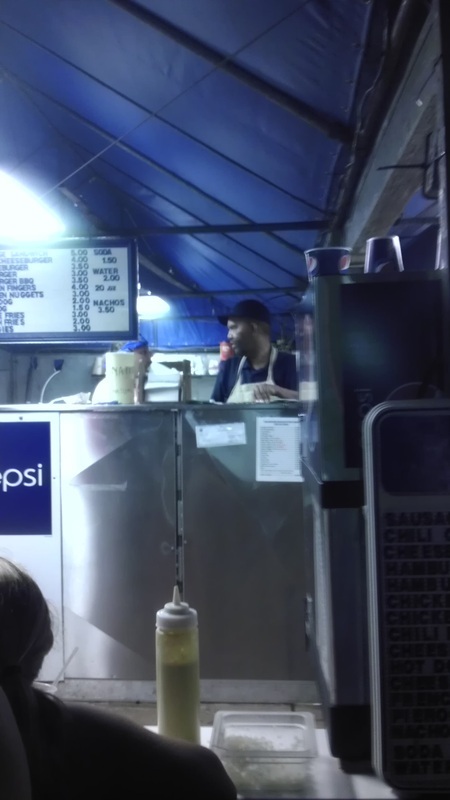 The outside food vendors consist of standard carnival vendors (cotton candy, funnel cakes, etc.) 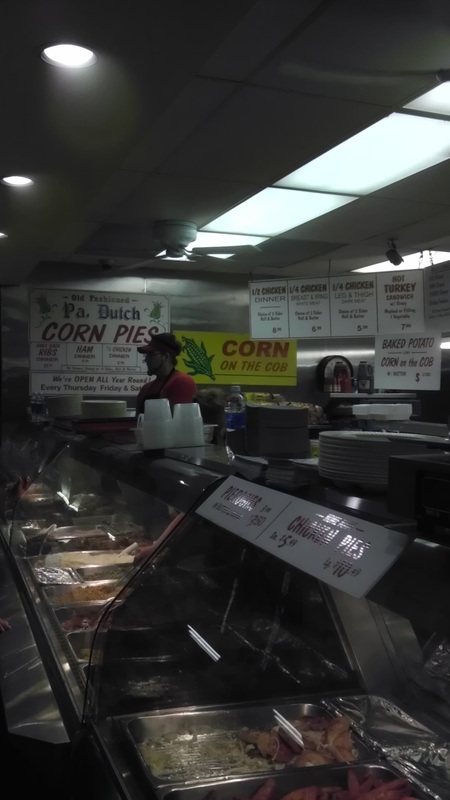 and local places (Vince's Cheesesteaks, Roosevelt's 21, etc.). Inside Ag Hall is a long stretch. You will find everything from more food ( lunch / dinner and food to take home and make yourself ) to crafts, jewelry and more. Think of as a basic Farmer's / flea market combo. Coming out of Ag Hall, my next stop was the Agri-plex. This is something different. More vendors and displays from various competitions including baked goods, home brewers and so much more! One thing I really loved here was a Lego exhibit! Really take your time and walk around inside the Agri-plex. You will be very surprised at what you will find. I almost forgot about the live animal exhibit! Behind the Agri-plex is where you will find a long stretch of live animals. This part is really cool. Reason? The are farm animals (sheep, cows, etc.) You can walk down the long stretch and see / possibly pet them. Important Note: Be very careful when you do! There are places to wash your hands on the outside of this part. I pretty much covered the basics so far. 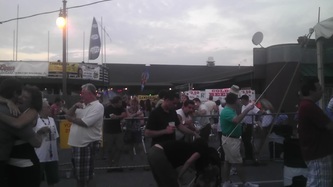 Yes, in addition to the major acts on the Grandstand Stage; there is live music on the Stage next to Maingate Nightclub. Maingate has live music every night with hours until 1 a.m.
Food / beverage: walk around, the prices do vary slightly. Give the local food places a shot. There is a great variety here and I doubt you will be disappointed. Best suggestion? Mix it up between the two. Bring some extra cash or be ready to hit the ATM machines with a fee. Curious what traffic is like walking around? Check my live updates from opening night. 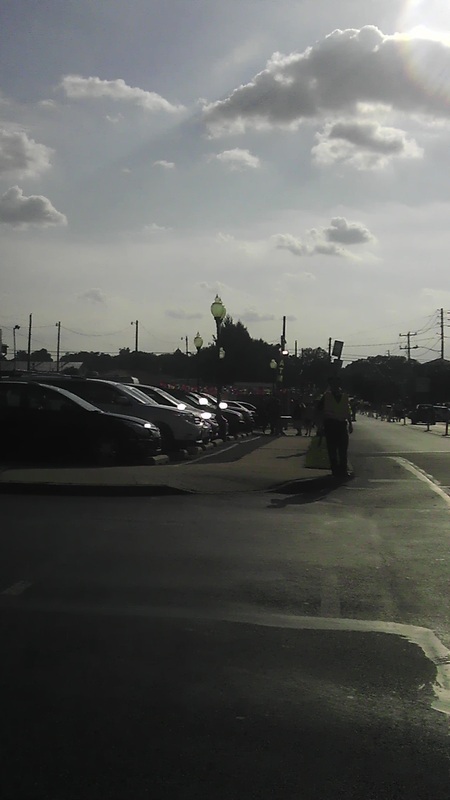 Seriously, take your time and walk around the entire fair. Unlike most festivals, the Allentown Fair still has the original feel from what you see over a century before. This is combined with the modern atmosphere.